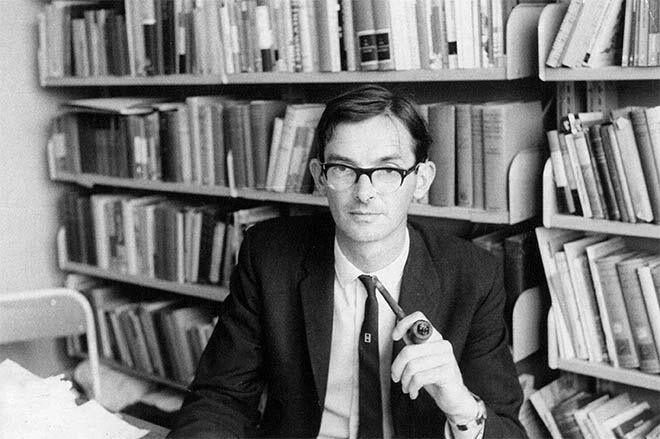 Bill Oliver, shown here as a young pipe-smoking academic, was, along with Keith Sinclair, one of the two historians who dominated New Zealand history from the late 1950s. Oliver had completed his DPhil in 19th-century British history at Oxford University in England, but on returning to New Zealand to take up an academic position at the University of Canterbury, he wrote The story of New Zealand, which was an original survey of the nation's history. He became the professor of history at Massey University, where he supervised and inspired a generation of significant academic historians such as Peter Gibbons, Tom Brooking, Charlotte Macdonald and Margaret Tennant. With Bridget Williams he edited the acclaimed Oxford history of New Zealand (1981). He then became the first general editor of the Dictionary of New Zealand biography. Like Keith Sinclair, Oliver was also a distinguished poet who wrote a biography of his friend and fellow poet, James K. Baxter.